This is a great “day after” recipe to make on the second day after baking bread or pizza. A casserole, Dutch oven or Italian bean pot with a tight-fitting lid is essential in trapping the flavors while allowing an aura of smoke to penetrate. 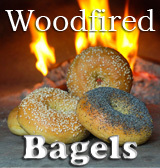 Get the oven ready: Assuming your woodfired oven was thoroughly heated the day before, make a small fire with two handfuls of kindling and 4 sticks of hardwood that are 2 inches thick. Push the fire to the back and let it flame for 45 minutes, adding another stick or two near the end of that time. Sweep the floor clean of ashes. Assemble the casserole: Top and tail the carrots and put them in the bottom of your pot. Peel the papery covering from the tomatillos and quarter them. Peel the onion and quarter it. Put a layer of pork chops on the carrots and sprinkle them with salt and pepper. Put on half of the tomatillos and onion. 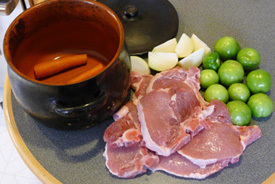 Set down a second layer of pork chops, salt and pepper them and put on the rest of the tomatillos and onion. Pour the cider over the chops. Bake the casserole: Set the pot with the lid in place into the oven about a foot from the bed of coals and close the door. 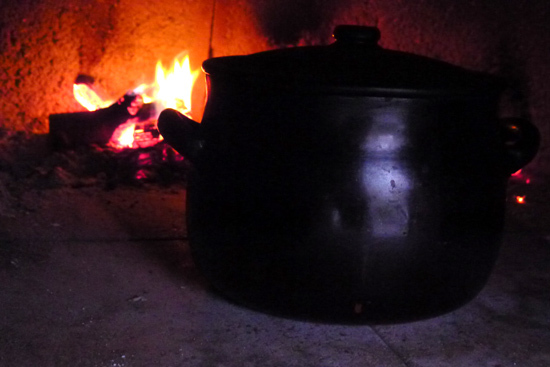 Turn the pot around after one hour. An hour later, turn the pork chops all the way over and cook for a further 2 hours. 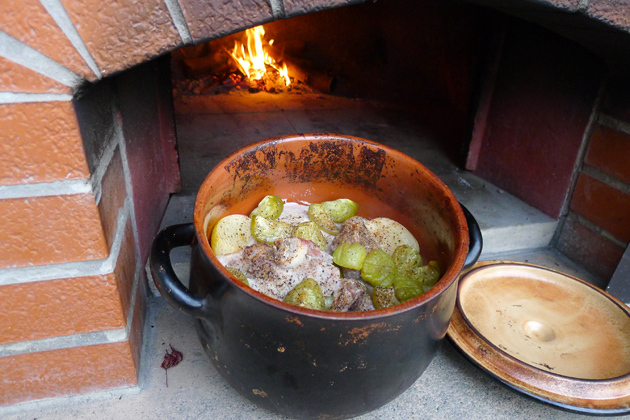 As the heat of the oven is constantly falling, you can leave the casserole in for several more hours if you like so that the pork continues to cook. Add a little more cider at this point if the top bits of pork are fully exposed (a little popping out is okay). For cooking in a conventional oven: Bake in a 325° oven for the first 1½ hours. Lower the temperature to 275° and continue cooking for a further 2 to 2½ hours. Remove to a platter and serve with rice, beans and hot tortillas. Can you say ‘yum’? I was just researching for recipes to use with my Dutch Oven and braising. You must have picked up on this. A perfect fall dinner. That looks fantastic! Of course I lack the set up to even try and reproduce it, but mmm! I love the set up. Its perfect! I planted a tomatillo plant a while back and its full of blooms and was wondering what all i could use them in once I have the fruits! I have saved this recipe and plan on making it as soon as I can. Many thanks! 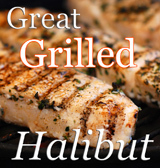 Just found your site via Foodbuzz and I’m digging it already. Great use of simple ingredients to come up with what seems to be one tasty dish.